No British garden is complete without a resident robin, it may be their striking plumage or their propensity for befriending their human neighbours but the robin is much loved. If this was ever in doubt then look no further than market research company YouGov’s 2015 public poll that overwhelmingly crowned the robin Britain’s favourite bird. 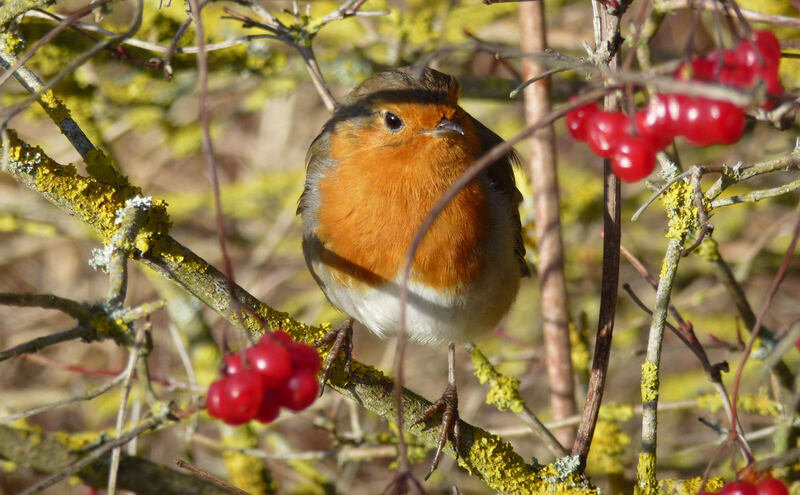 Most UK robins are permanent residents of the UK and will defend their territories with great vigour all year round. Their numbers increase in the winter months when they are joined by migrants from the bleaker reaches of Europe who choose to overwinter in the relative mild of a UK winter. Their territories are on average roughly an acre in size and in winter will be held individually whilst in summer a breeding pair will defend their plot together. 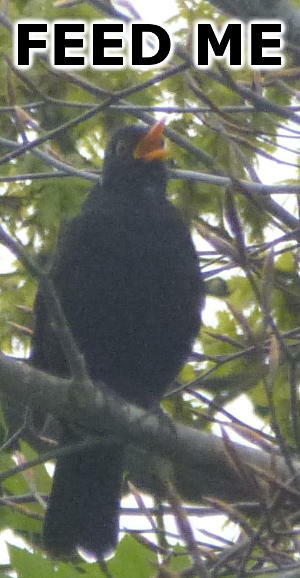 Males and females look the same and sing all year round, they can often be seen perched next to street lamps encouraged to sing by the artificial light. Their diet consists mainly of worms, seeds, fruits and insects. They can become very tame and have been known to feed from the hands of people who have the patients to earn their trust. Robins nest in March but in milder winters January broods are not unheard of. They lay around 4 or 5 eggs and may have multiple broods in the same season. Interestingly it has been observed that broods can overlap with the female sitting on a new brood while the male feeds chicks from the previous clutch. The average lifespan of the robin is just 13 months but this statistic is disproportionately low due to most robins dieing before reaching their first year. Not all robins have such a short life, one robin is reported to have lived for 19 years in the Czech Republic, see Euring (coordinating bird ringing throughout Europe).